Jean comes to the SMA after previously serving in the Office of the U.S. Trade Representative (USTR) as Deputy Assistant U.S. Trade Representative for Industrial Competitiveness. During her 14 years at USTR, she also served as Director, Industrial Metals, Materials and Energy and as Director, Steel Trade Policy, developing strategies and recommendations for multilateral and bilateral trade agreements and enforcement matters, and leading policy meetings of the OECD, G20 and Global Steel Forum. Jean’s work included dispute settlement cases at the World Trade Organization, and the Transatlantic Trade and Investment Partnership negotiations on energy and raw materials. Prior to USTR, Jean spent 16 years at the U.S. Department of Commerce. 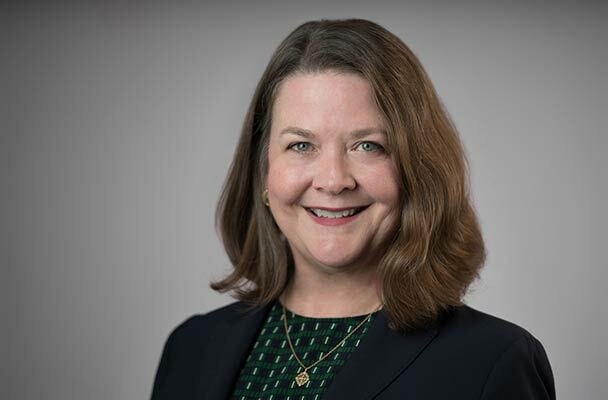 At Commerce she administered U.S. trade remedy cases and agreements holding increasingly responsible roles from Import Policy Analyst to Program Manager and Senior Policy Advisor. After graduating from the University of Virginia with a B.A. in International Relations, Jean began her government service in Washington, D.C. as a congressional staffer in the Office of U.S. Senator Frank Murkowski (R-AK).